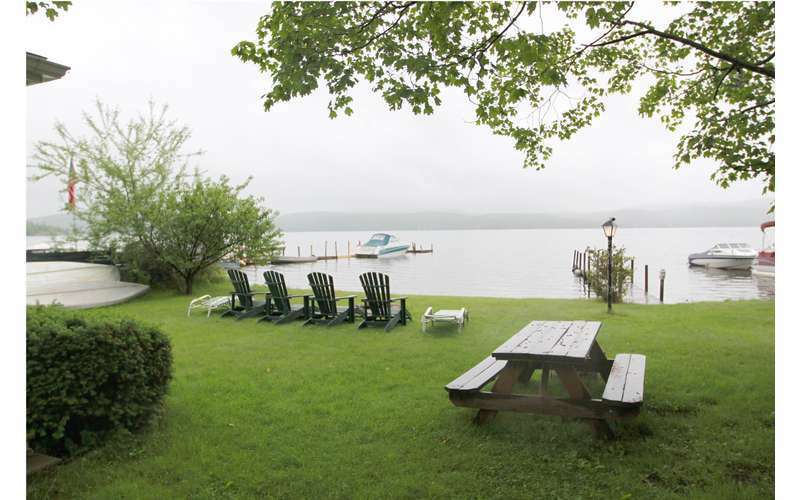 Enjoy lakeside accommodations in Hague, NY! Planning a getaway to beautiful Lake George? Rent this 4-bedroom house in Hague, NY, which can accommodate up to 10 guests. Not only is it pet-friendly, but it features an enclosed private beach area, a 48-foot dock, free boat access, and more! Book a private getaway to Lake George at this amazing 4-bedroom house rental. It is spacious and the perfect size for a small family or group. In total, the house includes 3 queen-sized beds, 4 twin-sized beds, and 2 bathrooms/showers (one upstairs and one downstairs). This wonderful vacation house has an enclosed outdoor area for pets and children to enjoy, and there is a playground within walking distance of the property. Located steps away from the house is a private beach where you'll find a sandy area and a 48-foot dock for motorized boats. There is also a rowboat, a canoe, and a kayak on the property that guests are welcome to use for free. If you're bringing a larger boat, you can visit the nearby marina and easily launch from there onto Lake George. In addition, you can spend your evenings relaxing by the bonfire pit and cooking up a BBQ with the gas grill (w/an extra tank). Whether it's raining or you want some peace and quiet, you can sit inside the glass window-enclosed porch, which offers spectacular views of the lake. This house rental is typically available to rent from Memorial Day in May through Labor Day in September. Please email us at the contact form below, or give us a call for pricing and availability at 1-518-668-5787!